Anyone who knows me knows that I am obsessed with handmade burger. Mainly because their gluten free menu is the best one I have found. Plus the fact that their staff are super knowledgeable helps a massive amount! So the other day when I received a couple of vouchers to come and try the new Pit Range, there was no way I was going to turn that down! 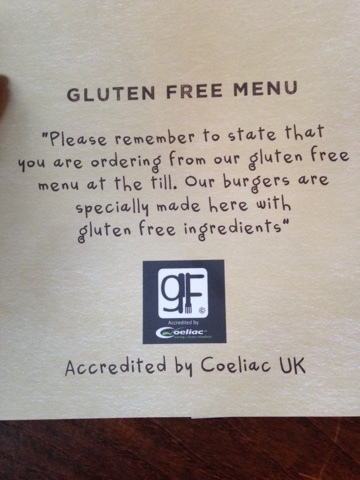 When we got there we were handed the Gluten free menus, I was impressed that the Coeliac accreditation was printed on the front of the menu. 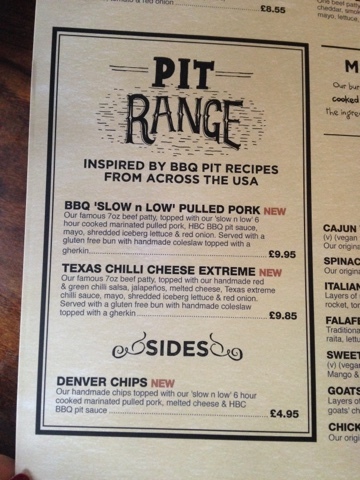 The Pit Range is based on tastes from America and the Gluten free options are near enough exactly the same as the 'normal' menu. I decided to try the BBQ slow n low Pulled Pork Burger. I ordered it at the till and within 30 minutes it was there! I was very impressed with the speed that the meal arrived considering it was a full restaurant! 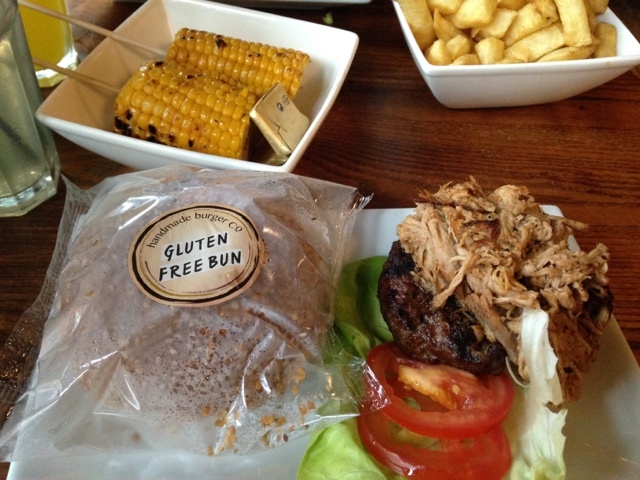 I love that the Gluten Free Bun comes in a packet to ensure that there is no chance of cross contamination. The pulled pork on top of the burger was delicious! So soft and tasty and I had a massive amount! And the chips! The chips are amazing, they remind me of chips you get from the chip shop. Especially when you get to the bottom of the bowl and find the little crispy ones! So well done again Handmade Burger!